Ibiza’s club and lifestyle brand Pacha returns with ‘Pacha lbiza House Anthems’, featuring 60 tunes across three discs. Over the years, Pacha has hosted nights from David Guetta to Swedish House Mafia, Pete Tong to Luciano, Defected to Ministry Of Sound, and now this year with guests such as Steve Aoki to Solomun via Bob Sinclar, Chuckie and John Digweed. 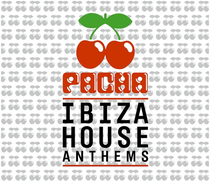 CD1 of Ibiza House Anthems kicks off proceedings with singles like ‘My Love’ from Route 94, Clean Bandit’s ‘Rather Be (Magician Remix)’, Duke Dumont’s ‘Need U (100%)’, MK’s remix of Storm Queen – ‘Look Right Through’, and Avicii & Nicky Romero’s ‘I Could Be The One’. On CD2, tracks from Chris Malinchak and Klangkarussell set a more laidback house vibe before getting back into the party mood with Haim – ‘Falling (Duke Dumont Remix)’ and Rudimental’s ‘Hell Could Freeze (Skream Remix)’. The final DJ mix on CD3 is a journey through classic Pacha anthems, with seminal tracks like Spiller - ‘Groovejet’, Benny Benassi – ‘Satisfaction’ and longstanding Pacha resident David Guetta with ‘Just a Little More Love (Wally Lopez Remix)’. It’s out 16 June, check the classic Guetta track below. It's awesome to visit this web page and reading the views of all mates on the topic of this piece of writing, while I am also eager of getting knowledge.